AVCHD (Advanced Video Coding High Definition), jointly developed by Panasonic and Sony for use in consumer HD consumer camcorders, is a format for digital recording and playback of HD videos. AVCHD adopts H.264/MPEG-4 AVC standard, supporting SD, HD and 3D video resolutions as well as supporting Dolby AC-3 and linear PCM audio. File extensions AVCHD uses: M2TS, M2T, MTS, TS, TR, TP, TRP, TOD, MOD, etc. If you got a Panasonic AG-HMC150 or a Sony DSC-RX100 III, you may get a lot of AVCHD recordings with it. When you’re ready to import them to a professional editing program like Final Cut Pro 6/7/X, the big problem arises: FCP fails to support AVCHD files. 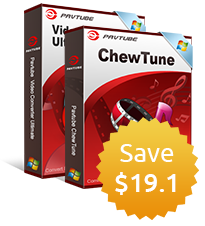 The easiest way is to get an AVCHD to FCP converter to eliminate the problem, and Pavtube MTS/M2TS Converter for Mac(best 5 MTS M2TS Converter Mac Review) is a professional conversion program designed to transcode AVCHD MTS/M2TS/M2T/TS Files to FCP 6/7/X fully supported video format “Apple ProRes” to ensure effortless video import. How to import AVCHD MTS/M2TS/M2T/TS Files in FCP 6/7/X? 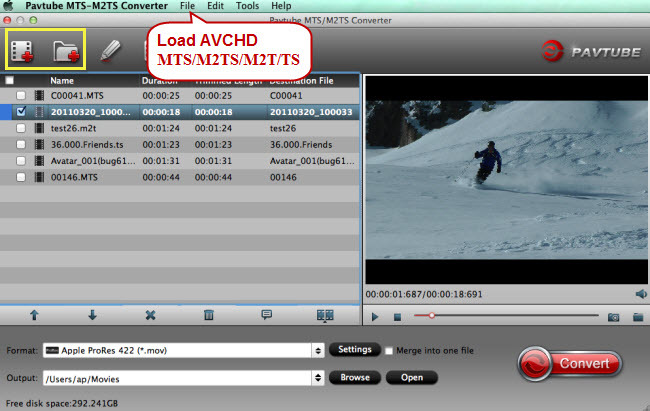 Run AVCHD to FCP converter on Mac, and click “File” or the file icon to import AVCHD MTS/M2TS/M2T/TS. You can edit your camcorder recordings first before importing them to FCP 6/7/X. Click the button “Edit” or the pencil icon to edit AVCHD MTS/M2TS/M2T/TS. 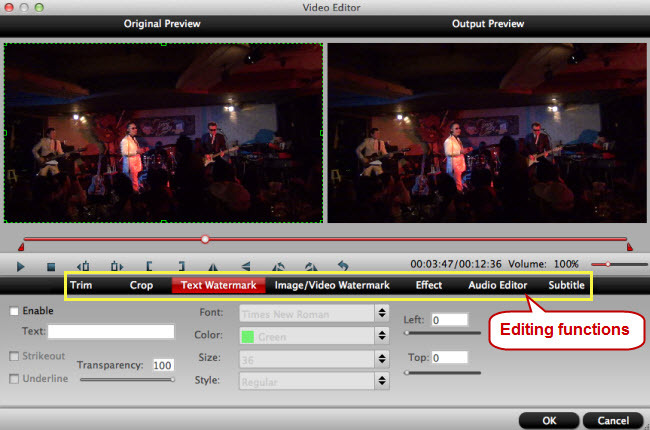 On the editing interface, you are allowed to cut and get the recording clip you want by trimming, cut off black edges and unwanted areas by cropping, add special effects, inserting subtitles, and add watermarks to make your recordings perfect. 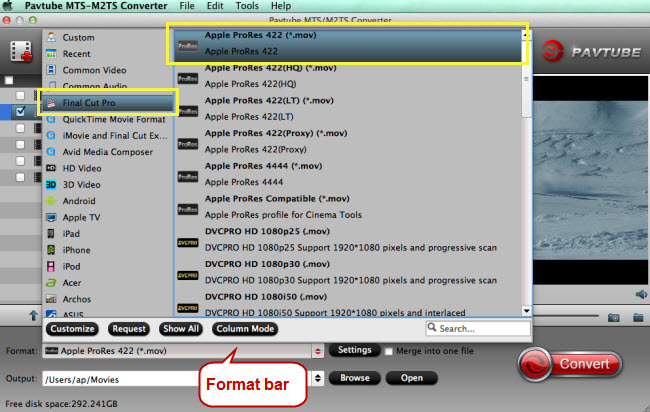 Click the big button “Convert” on main UI to realize conversion from AVCHD MTS/M2TS/M2T/TS to FCP 6/7/X. Run FCP 6/7/X on Mac, and click “File” ＞ “Import” to add the converted AVCHD MTS/M2TS/M2T/TS to it. If you want to edit more videos or a Blu-ray movie in FCP 6/7/X, this AVCHD to FCP converter can also realize easy import.